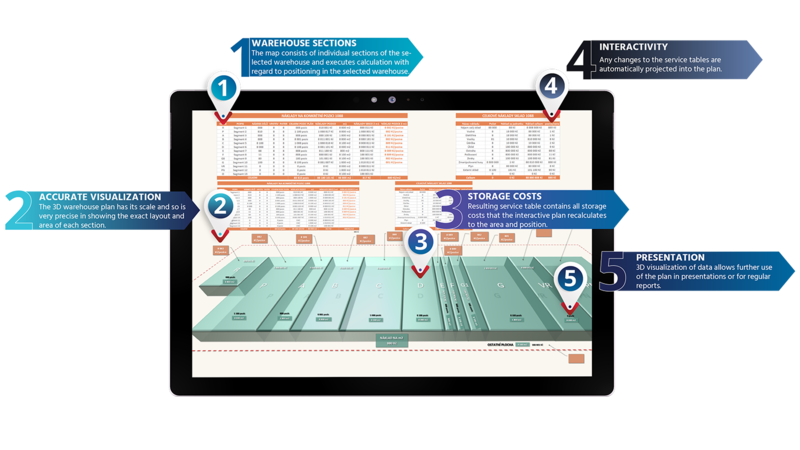 Professional visualisation of warehousing costs based on actual property dispositions. An interactive 3D warehouse map is a good example of how visualization and interactivity can help in warehouse management. We created it for a client who was extending his central warehouse by another part. 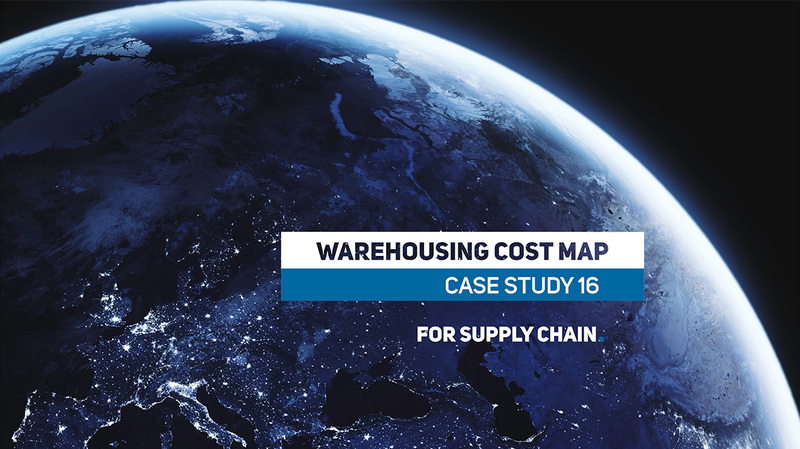 The objective was to track warehousing costs by sections and positions in each part of the warehouse. The map is interactive. It can be used to visualize costs for the past period as well as to model costs in the future. We created the map in scale based on the map of the property. In addition to the buliding map, the client shared with us the expected layout of the sections and positions in the new warehouse. The service table covers all the costs related to the warehouse. From rental costs, through costs of equipment to the cost of a manipulated unit. According to the area of ​​each section and the number of positions in it, the interactive map shows cost per position. It also shows cost per square meter. Costs in the service table, as well as the number of positions and the size of individual warehouse sections can be set according to current situation. At the same time the table can be used for modeling of future scenarios. The result will always appear on the map. It is possible to choose two ways of looking at the warehouse. Either the whole warehouse is depicted in flat and the floors are taken into account only in the number of positions, or the store is depicted floor by floor. We designed the map so that it could easily be transferred to any presentation within the company. At the same time, it can be included into monthly reporting. Then the costs from the actual month are added to the cost section. We have created hundreds of interactive maps, plans, and other visualizations for our clients. The goal is always to make it easier for the client to regularly report or present the conclusions of ad hoc analyses. Our other services and solutions where visualisation plays key role include Demand Mapping or Top 20 Customers KPI Review in Logistics. © 2019 Athelas computing s.r.o. All rights reserved. By using this site you agree to the usage of cookies.